Girl meets boy. Girl loses boy after turning into ravenous wolf monster. Girl tries to get boy back. It’s a fairly standard tune, right? At least, it is for poor Vivian. With the wilderness shrinking fast in the face of urban progress, disaster seems to follow the loup-garoux wherever they flee. Without a true home to call their own, these nomadic werewolves are forced to live among humans in secret. Befriending “meat-people” is strictly discouraged, an easy task for Vivian. She’s never fit in among anyone at the human high school she attends. But then she meets Aidan, a sweet, sensitive (non-furry) boy who is deeply interested in the occult. Is he her ticket to true happiness? Or will an innocent misunderstanding compromise the pack’s safety once again? Although the novel boasts to be a teen romance, this proves to be more of a subplot. The true story is about a young woman learning to tell the difference between love and lust. While this in itself is an admirable undertaking, Klause falls sadly short in terms of plot and character development. Vivian is the only character that truly comes into her own, while Aidan and the members of her pack seem two-dimensional. In terms of plot, what could have been a great story turns into a regrettably mediocre treatment of an otherwise fascinating fantasy creature. But Klause doesn’t strike out completely. 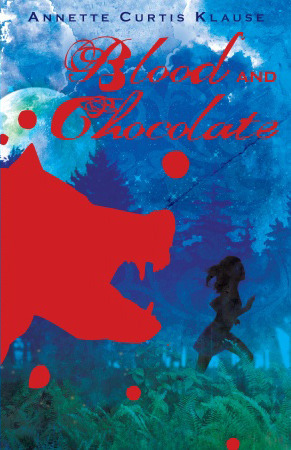 Vivian’s journey from the innocence and luxury of teen rebellion into the sobering reality of adulthood dispels any unrealistic attitudes some teens might have about romance, and Vivian (despite being furry) has enough teen issues and rebellion to be an attractive heroine to readers. Recommended for Ages 15-up.